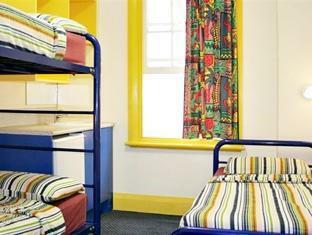 The Jolly Swagman Backpackers is located in Sydney making it one of the best hotels to stay at while in town. All 46 rooms at The Jolly Swagman Backpackers have all the modern facilities guests' would expect from a hotel of this class. Each guestroom is fully equipped with non smoking rooms, desk, television, television LCD/plasma screen, separate shower and tub. This beautiful Sydney accommodation provides shops, safety deposit boxes, hotel/airport transfer, tours, WiFi to suit all guests' utmost convenience. Hotel's guests can experience on-site latest leisure and sports facilities such as garden. 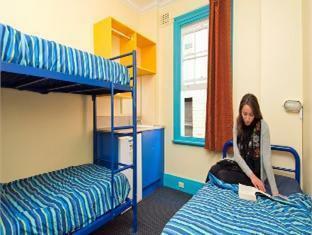 The Jolly Swagman Backpackers provides a warm and welcoming service of international standard. To make a reservation at the Jolly Swagman Backpackers Sydney with our secure online reservation form, please choose your preffered period of stay.